I feel extremely delighted and honoured to translate the few chapters of the book entitled 'Mahamati Prannath and Mahatma Gandhi' penned by Shri Parasmani Shastri in Hindi. 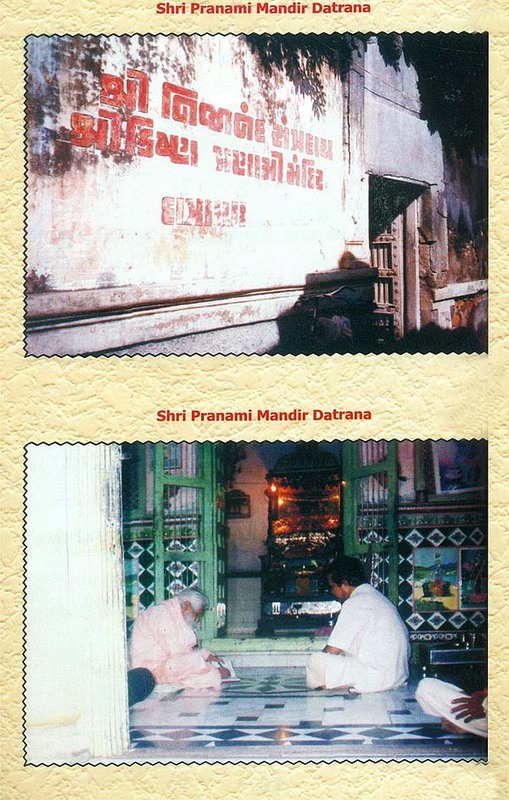 It was a rare opportunity bestowed upon me by Late Shri Dhami 8abaji Maharaj. His personality was so charismatic and there was a type of spell in his words that it was quite impossible to ignore his instructions. It was my first meeting with 8abaji and unfortunately it turned out to be the last one. It was his earnest desire to get it published in his life time in spite of his repeated phone calls I could not execute it on within the stipulated time on account of my other engagements. The news of his departure to heavenly abode came to me as a severe blow. Now the task is over but I feel absence of beacon- light which was a guiding force to me. Mahamati Prannath and Mahatma Gandhi were, undoubledly champions of secular values. They left no stone unturned to calm .down and to nail fanatic activities in their respective periods. They kept human values above to caste, creed and religion. According to them religion was a life style and not merely a ritual. 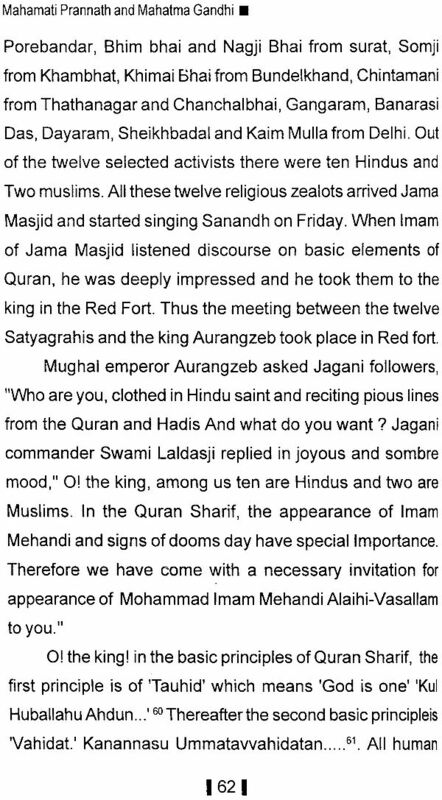 Thus religion became a means of propagation of human values for them a force which binds Hindus, Muslims, Christians and the followers of other faiths together. The secular and human values which they preached are much more relevent in the strife-torn society of today social harmony, community feeling, sense of belongingness, tolerence and the like other noble virtues have constantly been threatened today by the naxalite and other such terrorist activities. The land of Buddha, Mahavira and Mahaprabhu Shri Prannath which paved the way for peace to the world, is passing through turmoil. Our selfishness, self-centredness, sectarian and materialistic approach has made the situation worse. 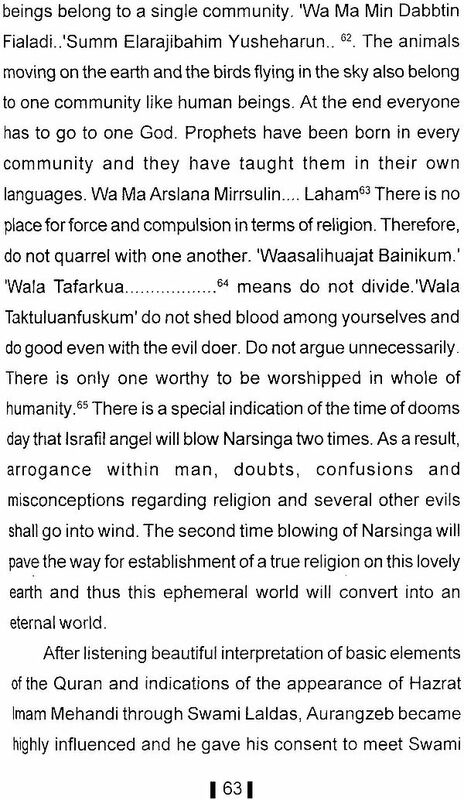 The world of today can be saved only by following the path of tolerence as shown by Mahamati Prannath. His message of World Awakening is, actually a campaign of spiritual awareness. He believed that unity in variety is the plan of universe. We are all human beings, and yet we all are distinct from one another. As a man you are separate from the woman, as a human being you are one with the woman. As a man you are separate from the animal, but as living beings man, woman, animal and plants all are one; and as existence, you are one with the whole universe. That universal existence is God, the ultimate unity in the universe. In him we are all one. At the same time in manifestation, these differences must always remain. Mahamati did not mean anyone universal philosophy, or anyone ritual held alike by all. He made it clear that we must learn that truth may be expressed in a hundread ways, we must learn that the same thing can be viewed from a hundred thousand ways, we must learn that the same thing can be viewed from a hundred different standpoints, and yet be the same thing. Mahamati was an enlightened soul. His concept of God and religion was quite vast. He opins the God is the centre of all religions, and that each of us is moving towards him along one of these radii, then it is certain that all of us must reach that centre. Mahamatiji closely studied the Quran and expressed several good things of it in his sermons. 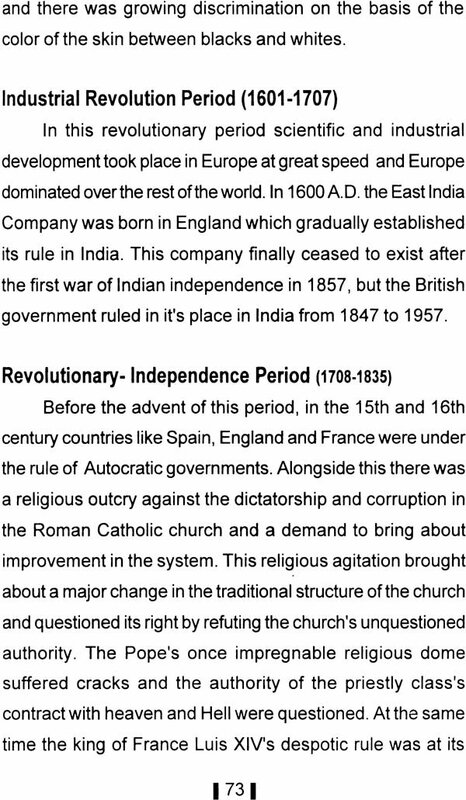 He tried hard to restore religious tolerance in one of the most intolerent periods. Mahamati and Mahatma Gandhi, both of them realised that nothing is above to truth and no religion is superior to humanism i.e. Love. 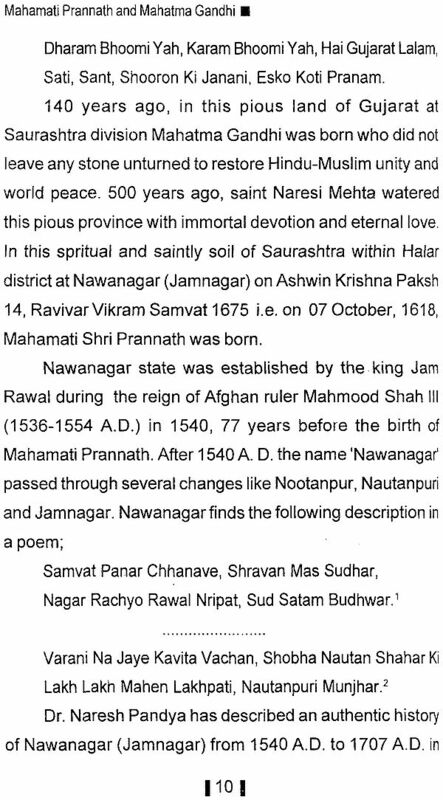 1- The author gives the guiding message to biographers that the biographical account of any great person is incomplete unless it includes the life picture of his/her mother because it is she whose traits mould her child into greatness throughout its prenetal period as the quotation of Shri Pyarelal given in this book reveals "She (Putlibai) bore the Mahatma." 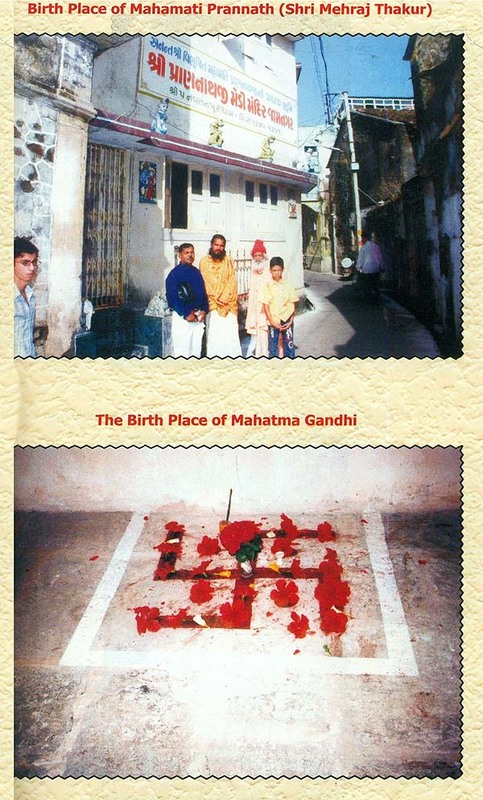 2- This book answers the question regarding the origin of the synthetical outlook of Mahatma Gandhi on religions, castes genders, classes, education, sociology, morality, of his unfailing and indomitable weapons of Truth and Non- violence and also that of his daily BHAJAN-"Ishwar Allah Tere Nam Sabko Sanmati De Bhagwan"
3- This book inspires the readers to go through the original works of Mahamati Prannath, the hierarchical Head of this line of thought and action which in this age of atomic weapons exercised its potential not only to free India of her slavery but also to end the possibility of the third world war by opening up the very new process of table-talks and other non-violent means to resolve all the disputes among nations and thereby to nip in the bud the possibilities of wars. Perhaps the biographies of all the great men/women of the world for their true authentication will have to be re-written after a thorough research on the personalities, characters, aspirations values and principles lived by their mothers in order that the credit of their greatness may duly and justly be distributed among the factors of heredity enviornment and personal achievements of the person. I had the privilege of remaining in close and regular association with revered Dhami 8abaji since 1980, having got the benefit of his contemplative ideas about religions, ethics, societal evolution and found him one with open mind, constant interest in reading of contemporary developments in science, philosophies, religious literature resulting into his freedom from rigidity and dogmatism thus enabling him to do qualitative and nonetheless quantitative work of AWAKENING. 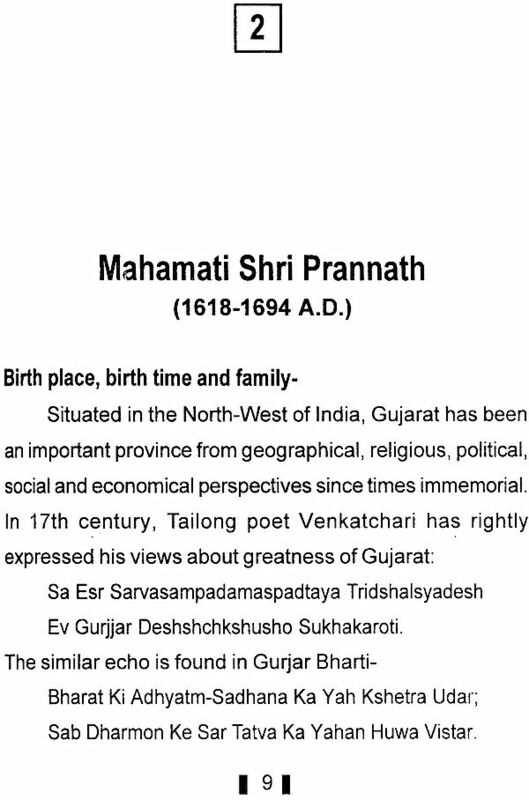 His illumining guidance added to the scholarly research-capability, single minded devotion to the awakening-mission of Mahamati Prannath, and active faith in the higher values of truth, non-violence and simplicity on the part of Shri Parasmani Shastri, the author, created this excellent work, which is undoubtedly very benificial to bring about remarkable betterment in the present day society which already has started out growing into globality. 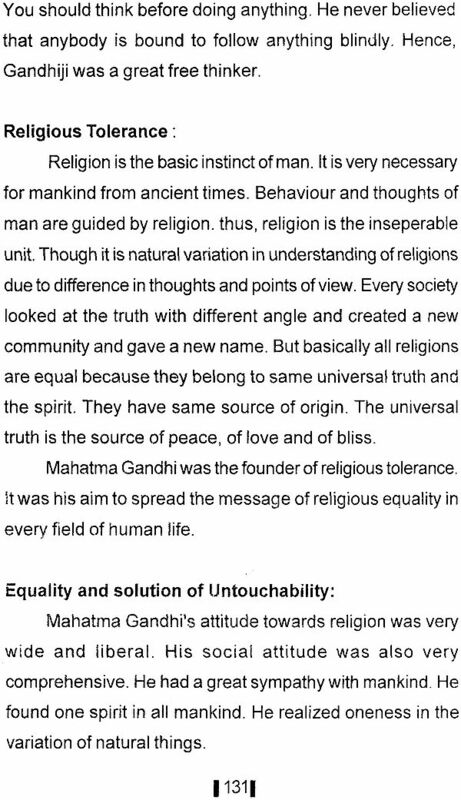 2 Background of Gandhi Philosophy.